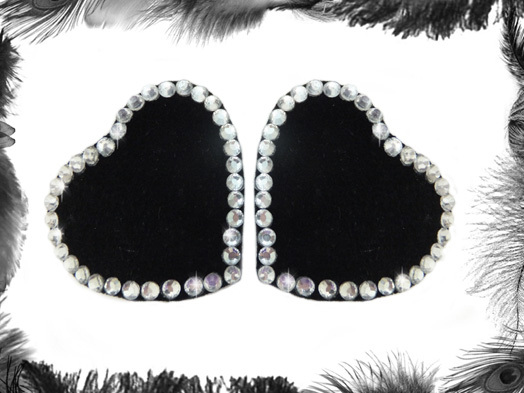 Velvet & Rhinestone Heart Shoe Clips. Size: 6.5 x 5.5 cm. Rhinestones: Clear, Black, Red, Rose Pink, Hot Pink. Others available on request. Velvet: Black, Burgundy, Purple, White, Blue, Green, Brown.